Bottom line: As direct competitors to Amazon’s Echo Show, the gadgets arrive during a time of heightened consumer privacy although that probably won’t hinder sales very much. Most people already carry around cameras and microphones on their smartphones; what's the difference in inviting more of them into the home in a slightly different form factor? Facebook on Monday officially unveiled its long-rumored Portal video calling devices. Portal is offered in two different flavors, one with a 10-inch screen sporting a resolution of 1,280 x 800 and a larger variant with a 15-inch panel at 1,920 x 1,080 that pivots between portrait and landscape mode. Both feature Smart Camera technology that can automatically pan and zoom to follow the action as well as Smart Sound that minimizes background noises and enhances the voice of whoever is talking. The devices offer hands-free voice control with Amazon Alexa built in and link to your Facebook Messenger friends list. Group calls are possible with support for up to seven participants, we’re told. Portals also serve as a hub for listening to music through services such as Spotify, Pandora and iHeartRadio and watching videos via Facebook Watch, Newsy and Food Network. Critically, Netflix and YouTube aren’t supported. Facebook said it designed Portal and Portal+ with privacy and security in mind. The camera and microphone can be disabled with a single tap and there’s even a physical camera cover that can be slid into place to block the camera lens. Four- to 12-digit passcodes can also be utilized to control access to the screen. Facebook doesn’t listen to, view, or keep the contents of your Portal video calls. Your Portal conversations stay between you and the people you’re calling. In addition, video calls on Portal are encrypted, so your calls are always secure. For added security, Smart Camera and Smart Sound use AI technology that runs locally on Portal, not on Facebook servers. Portal’s camera doesn’t use facial recognition and doesn’t identify who you are. Like other voice-enabled devices, Portal only sends voice commands to Facebook servers after you say, “Hey Portal.” You can delete your Portal’s voice history in your Facebook Activity Log at any time. 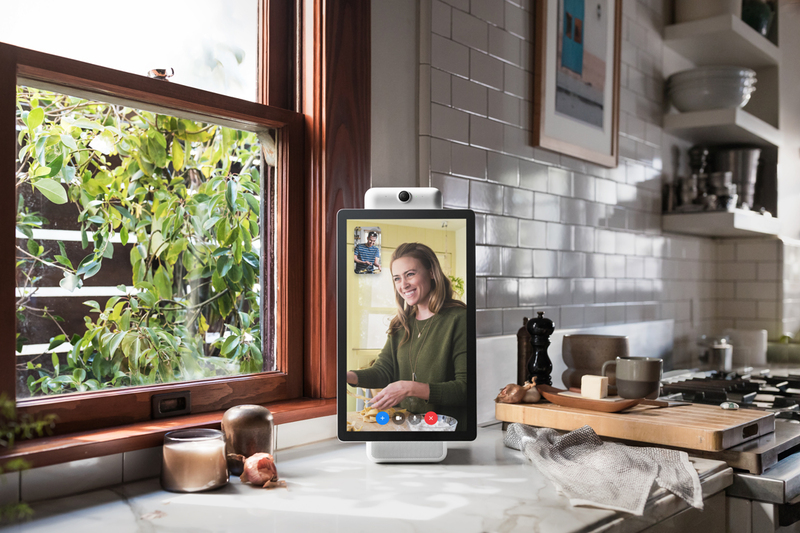 Facebook is now accepting pre-orders for its Portal and Portal+ devices. Pricing is set at $199 for the smaller device and $349 for the larger Portal+ or you can buy a bundle of two standard Portals and save $100. Look for them to ship on November 12.